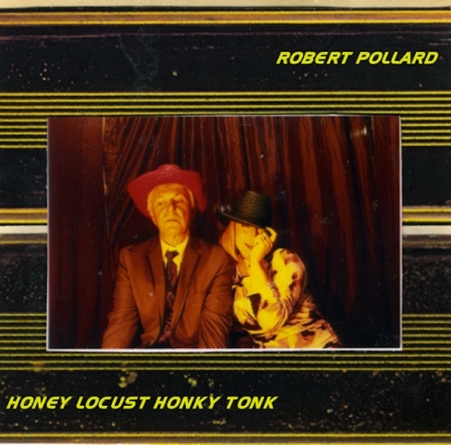 Earlier this week, we learned about Guided By Voices leader Robert Pollard's next solo set Honey Locust Honky Tonk via a stream of his moody acoustic rocker "I Killed a Man Who Looks Just Like You," and now the prolific songwriter has gone on to outline the rest of the set. The record is due out on in North America on July 9 via the band's own GBV Inc. and a day earlier in the UK through Fire Records. According to a press release, the 17-song follow-up to 2012's Jack Sells the Cow focuses on Pollard's "four Ps: pop, punk, psych and prog." On top of the previously teased single, Pollard apparently homes in on Heroes-era Bowie on "It Disappears in the Least Likely Hands (We May Never Not Know)," while the rest of the set apparently features a "down-home" charm. The press release notes that while some may find it excessive for Pollard to be issuing solo records on the regular when Guided By Voices are also issuing a string of LPs — four in the last 18 months — the songwriter doesn't see a problem with his inexhaustible output. "I'm not afraid to be immature, to make a fool of myself," he said in a statement. "I'm not afraid to look insane." You can check out the tracklisting down below, where you'll also find the stream of "I Killed a Man Who Looks Just Like You."